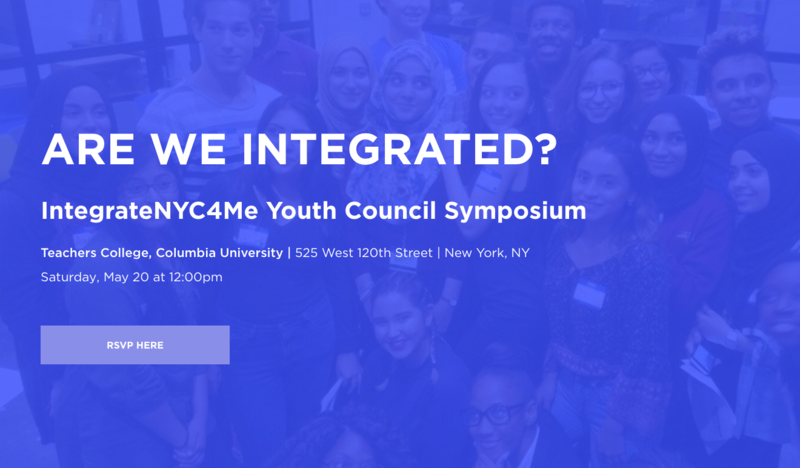 The IntegrateNYC4Me Youth Diversity Council has spent the past few months developing action projects and policy proposals to be presented at their May 20 Symposium. The symposium will highlight the projects of the 5 committees. Race and Enrollment, Resource Allocation, Relationships, Restorative Justice, and Representation. Youth leaders from each committees will present their projects and run workshops all designed to highlight the issue of segregation in NYC schools. Projects include the presentation of a student designed admissions algorithm, a gallery walk, and much more. More information can be found here. Or RSVP here.